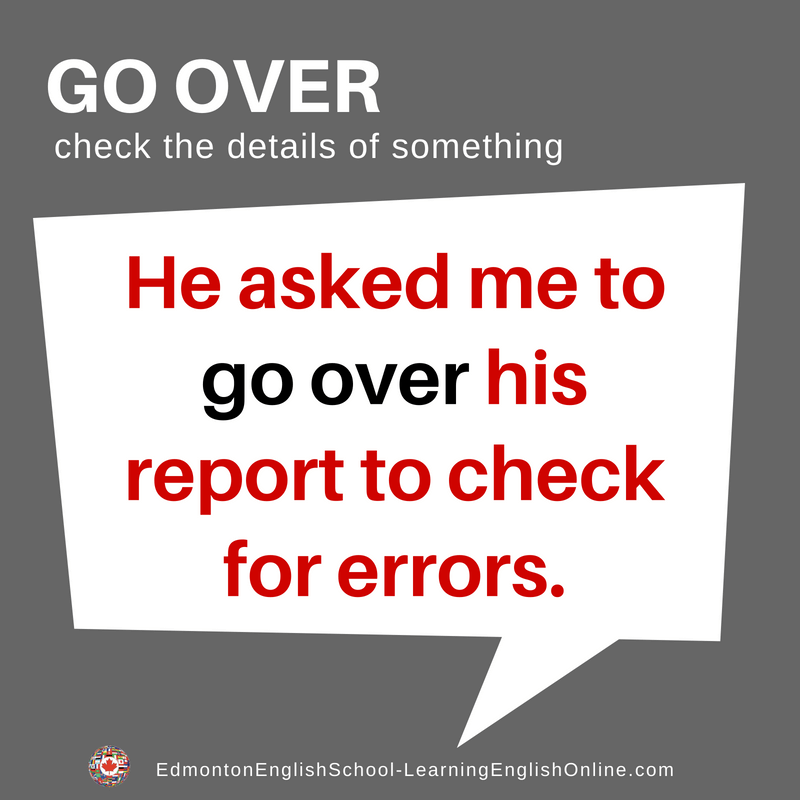 What is the meaning of GO OVER? 1. Could you please go over these numbers for me? Something seems to be missing. 2. We went over everything twice and we can’t find the mistake. 3. Could we please stop talking about this? We have gone over it again and again, and we will probably never agree. Note: Many phrasal verbs have more than one meaning. The definitions above may not include all the meanings.